Get Connection Updates Using Ofunnel | Brand On! Want to track who your competitors are connecting with? Or when someone in your network lands at a company you are trying to work with? OFunnel will steer these types of updates your way. You are in sales and trying to get into Procter & Gamble as an account. OFunnel will notify you when someone in your network connects to someone at P&G. You are connected to one of your competitors on LinkedIn. Select that person, and OFunnel will notify you every time that person makes a new connection. You are looking for a social media manager. 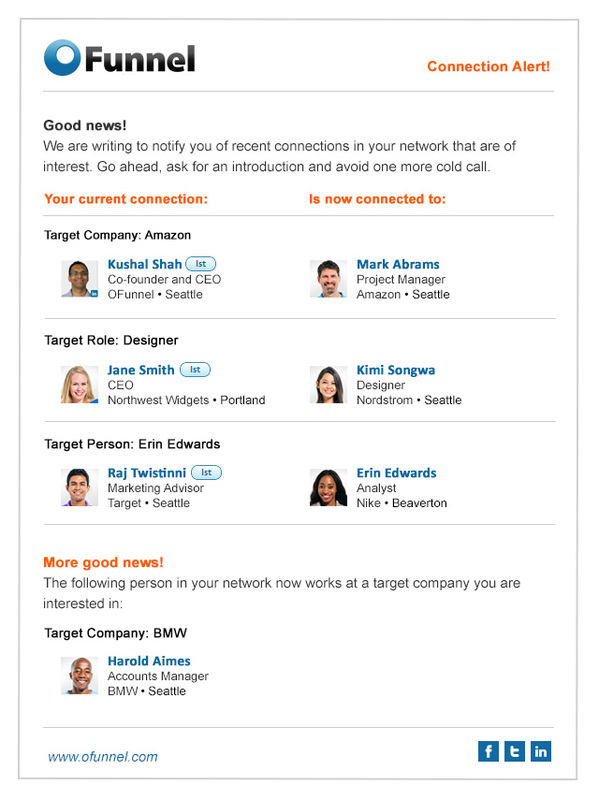 OFunnel will notify you when anyone in your network connects with someone with that job title or headline.